Every year, I make a promise to myself to begin thinking about holiday gifts long before the season starts – usually with little success. Luckily, I am a huge fan of small gifts that are relatively inexpensive and easy to find last minute. I would even argue that gift cards can be meaningful despite its unsentimental reputation. These little gifts can be assembled into a thoughtful care package that both shows your support for a loved one’s recovery and, hopefully, makes their day-to-day life a teensy bit easier. For those who live with anxiety or PTSD, grounding techniques can be used to help a person remain in the present moment by focusing on the five senses. These techniques can either promote mindfulness or serve as a distraction from distressing thoughts or memories. 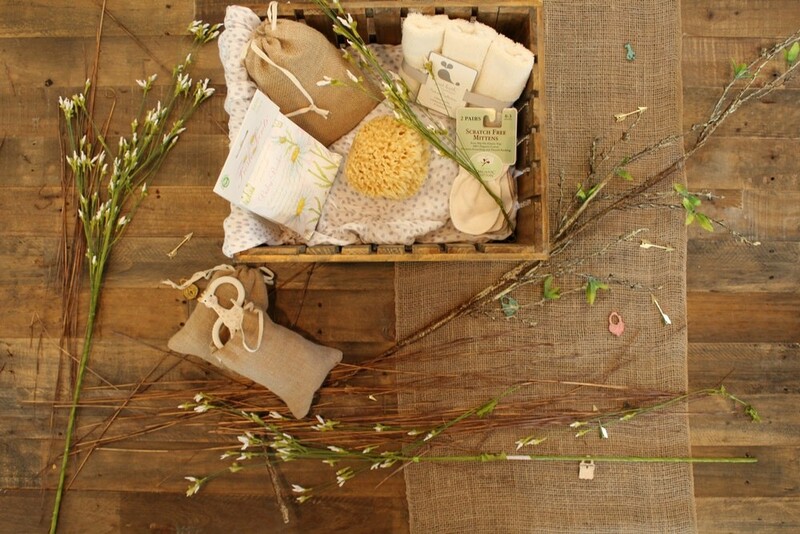 Assemble a care package made of items that focus on engaging the five senses of sound, smell, sight, taste, and touch. Sound: Create a mindful music playlist, a customized list of podcasts, or purchase an audiobook you know your loved one will enjoy. Take it one step further by including noise-canceling headphones, so they can fully immerse themselves in the experience of sound. Smell: The scent of pure (non-synthetic) essential oils such as peppermint and lavender are known to have calming effects, and one or two drops can be applied and rubbed onto the palms of hands. The variety of herbal loose-leaf tea available on the market provides endless options for scent and taste. When brewed with hot water and honey, a person can focus on engaging almost every sense. Sight: An adult coloring book with a set of colored pencils or a journal filled with creative writing prompts are a both a visual and tactile way for someone to bring their focus back to the task at hand. Taste: Including treats such as sour candies, chewing gum, or peppermint candy canes is a quick way to engage sense of taste. My personal favorite is allowing a piece of Dove dark chocolate to slowly melt on my tongue. Touch: Anything from molding putty or playdough to rubbing scented lotion onto the skin can serve as a distraction or grounding technique. 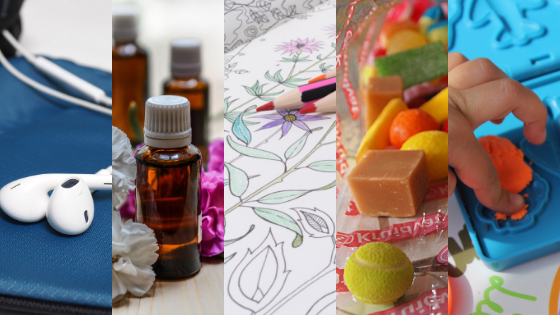 If you are a Pinterest user, you have probably seen some variation of the “Get Well Soon” care package composed of items that prepares someone for the colder season. Take your care package to the next level by incorporating items that also address their mental health needs. Shouldn’t mental wellness be just as important as warding off a cold? Self-guided journals that help manage a person’s progress in recovery. Ones that I have enjoyed myself or gave as gifts include Alyse Ruriani’s What Now? A Creative Workbook Journal Thing—a self-help journal grounded in DBT for people who hate journaling—and Self Therapy Note Pad by Knock Knock—a notepad designed for a quick check-in for your thoughts and feelings. Remind your loved one that they can reward themselves for completing activities that feel impossible when feeling mentally unwell with “I Adulted! Stickers for Grown-ups” by Robb. Short notes handwritten by you to your loved in a show of your support—to be opened during moments of loneliness, sadness, or stress. Include photographs depicting happy moments. With the advent of sharing photos instantly on social media, a printed photo becomes that much more special when shared just between the two of you. Lavender-scented Epsom salts that soothe achy muscles, releases tension in the head, and aides in sleep or candles in scents that your loved one associates with good memories. Plus, a holiday gift isn’t complete without a candle or some variation of it, i.e. lotion, bath bombs, aloe-infused socks, etc. This is where I convince you that gift cards and online subscriptions aren’t so bad, especially when it supports your loved ones coping strategies such as music, yoga, and meditation. Some subscriptions are on the pricier side, but for almost all the suggestions listed below, a gift card or access code can be purchased to gift to somebody else. Watching TV and listening to music are two common ways people cope with mental illness. 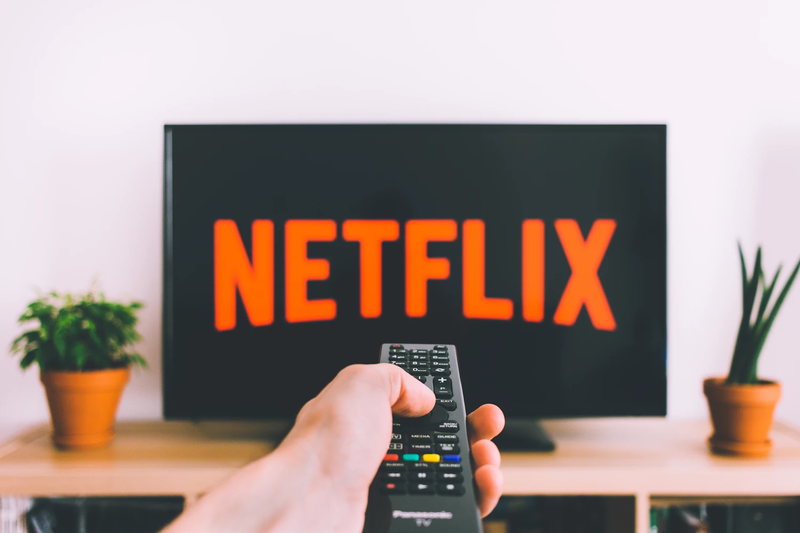 Give the gift of continuous streaming by purchasing a 3- or 6-month subscription to an online movie or music streaming service such as Netflix or Spotify. This could range from $30 to $60. For yogis on the go, a subscription to Down Dog ($60 for a one-year membership) will give your loved one access to a variety of trainer-guided yoga practices that range in difficulty levels and run anywhere between 12-minute to one and a half hour sessions. With a $60 one-year membership, Calm is an app that offers guided meditation techniques to induce sleep and reduce stress with its striking visuals and calming sounds. The notOK App immediately connects an individual with five people in their support network to alert them that they need support. Reaching out for help in a time of crisis is hard to overcome, but the notOK app makes it a little bit easier. Additionally, offer to be one of five of those support contacts. Finally, a classic but still great way to show your support to a loved one is to buy gifts that give back. 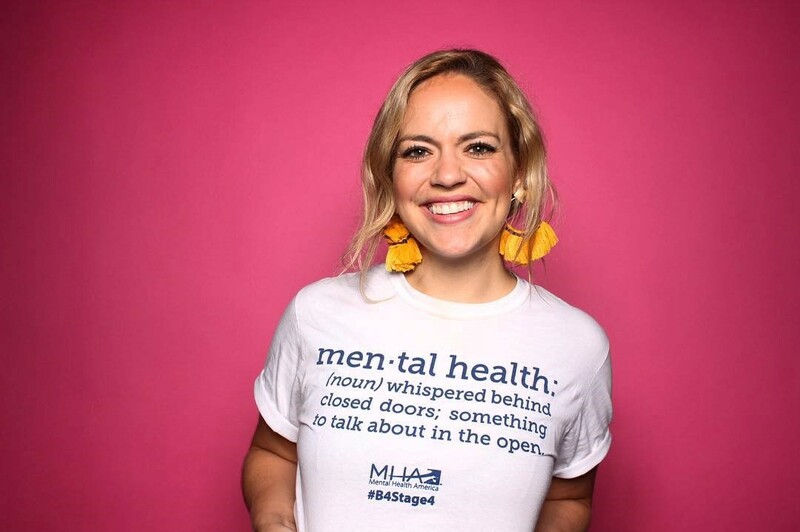 Visit the Mental Health America store to browse mental health merchandise where 100% of the proceeds are used to directly grow MHA’s programs and further its mission to address mental health concerns #b4stage4. 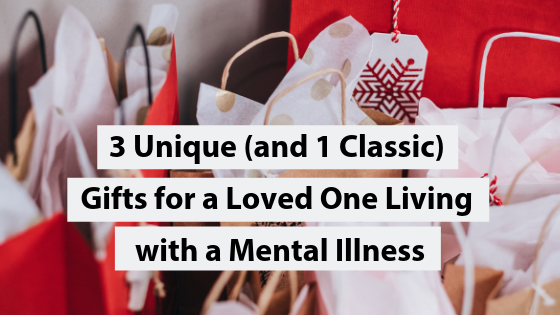 You can also make a donation in honor of a loved one living with a mental illness. I have personally tried well over a dozen of these so called self help mental health apps. The only one worth giving your time to is Calm. The rest are either poorly built and hard to navigate, or simply aren't useful.